If you’ve always wondered what those little dots are for on a military rifle scope’s reticle (cross-hairs), then look no further. I hope to explain, in a clear and concise fashion, how the mil-dot reticle works and also what “minute-of-angle” means. 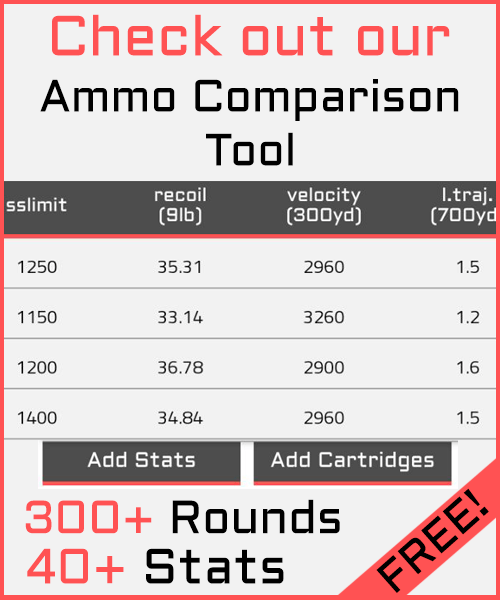 What is MRAD vs MOA? Both of these terms are conical measurements that show your accuracy at distances between the tip of your muzzle and your target. The term “minute-of-angle” (MOA) is used regularly by target shooters at the range, but is probably understood, thoroughly, by few (the same goes for mil-dots). Defined loosely, one MOA = 1″ @ 100 yards; so, if you shot your rifle 5 times into a 100-yard target and every shot went into a one-inch circle you had drawn on the paper, then your rifle could be said to shoot 1 MOA. Likewise, if every shot goes into a two-inch circle at 200 yards, then you’re shooting 1 MOA. A 10-inch group at 500 yards would be 2 MOA. This is just a hair over the commonly quoted “one inch.” At 1000 yards, this would be almost 10 1/2 inches. Apparently, it is just a coincidence that 1 MOA happens to be REALLY close to 1″ @ 100 yards. It is, however, quite convenient. The “Mil” in “Mil-Dot” does not stand for “Military”; it stands for “milliradian” or MRAD. The radian is a unitless measure which is equivalent, in use, to degrees. It tells you how far around a circle you have gone. 2 PI radians = 360 degrees. Using 3.14 as the value of PI, 6.28 radians take you all the way around a circle. Using a cartesian coordinate system, you can use “x”- and “y”-values to define any point on the plane. Radians are used in a coordinate system called “polar coordinates.” A point on the plane is defined, in the polar coordinate system, using the radian and the radius. The radian defines the amount of rotation and the radius gives the distance from the origin (in a negative or positive direction). So, one milliradian is just over 3.6 inches at 100 yards. If we extrapolate, two milliradians equal about 6 feet at one-thousand yards. You’ll see the importance of this, shortly. The mil-dot reticle was designed around the measurement unit of the milliradian. The dots, themselves, were designed with this in mind and the spacing of the dots was also based upon the milliradian. This allows the shooter to calculate the distance to an object of known height or width. Height of the target in yards divided by the height of the target in milliradians multiplied by 1000 equals the distance to the target in yards. For example, take a 6-foot-tall man (2 yards). Let’s say that the top of his head lines up with one dot and his feet line up four dots down. So: (2/4)*1000 = 500 yards away. This same tecnique can be used to estimate lead on a moving target or to compensate for deflection on a windy day. The distance from the center of one dot to the center of the next dot is 1 milliradian. We are told (by the folks at Leupold) that the length of a dot is 1/4 MRAD or 3/4 MOA (Given this much information, one can determine that the distance between dots is 3/4 milliradian.). * I use the term “length” because the mil-dot is not round. It is oblong. The “dots” on the verticle crosshair run oblong in the vertical direction. The dots on the horizontal crosshair run oblong in the horizontal direction (i.e., they are lying on their sides). The width of each dot is an arbitrary distance and is not used for any practical purpose. Like a duplex reticle, the mil-dot reticle is thicker towards the edges and uses thin lines in the middle where the dots are located and the crosshairs cross. The distance between the opposite thick portions is 10 milliradians. *NOTE: 1/4 MRAD = .9″ and 3/4 MOA = .785″, so, obviously, a mil-dot cannot be both 1/4 milliradian and 3/4 MOA. I called Premier Reticles (they make Leupold’s mil-dot reticles) and got an explanation: the dots on their mil-dot reticles are 1/4 mil. They are not 3/4 MOA. Apparently, they (Leupold?) just figured that more shooters understand MOA than milliradians, so they just gave a figure (in MOA) that was close, but not super precise. You can contact Premier Reticles via e-mail and request literature or ask questions. 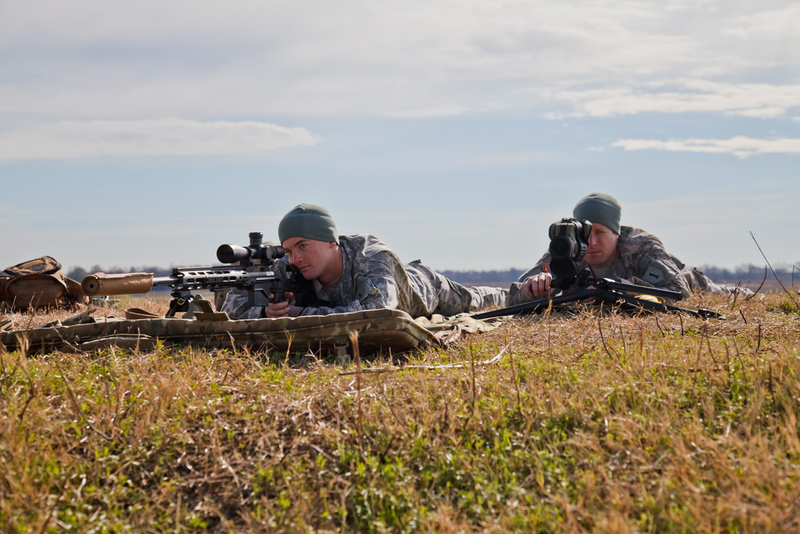 To use a mil-dot reticle effectively, all one need remember is that the distance between dot centers is 36″ at 1000 yards. This lets you determine the range of a target of known size. At that point, you can dial the scope in for proper elevation OR use the dots to hold over the proper amount. The dots on the horizontal crosshair can be used to lead a target (if you know the range to the target, then you’ll know the distance between dots, and thus the distance to lead) or to compensate for deflection. Understand that there are two ways to adjust for windage or elevation. The suggested method really comes down to the distances and amount of wind you are dealing with. The more bullet movement you have, the more accurate you must be on your adjustments. If you are adjusting for just a few inches, Kentucky Windage is fine for an adjustment. This process works the same for either an MOA dot-reticle or an MRAD dot-reticle. So let us say you are shooting at 200 yards with a decent crosswind from right to left. You take your first shot and notice through your scope that the elevation was perfect but the bullet hit two dots (MOAs or MRADs) directly to the left of the bullseye. With Kentucky Windage you would simply aim your next shot two dots to the right of your bullseye and fire. If the windage has not changed, it should be a direct hit. The same adjustments can be used for elevation if needed. One benefit of using Kentucky Windage is that it is a much faster process. This can be a good thing or a bad thing, but with hunting you typically want to take your second shot as quickly as possible. The other benefit is that Kentucky windage works exactly the same in MRAD or MOA. The downside is that you are having to focus on an imaginary crosshair. If you are dealing with both elevation and windage adjustments, you are now lining up your target with a spot that is out in the middle of space in your scope window. You no longer have crosshairs to pinpoint the perfect shot. For some people, this can be difficult to envision. With turret adjustments you can make your clicks and then just line up your crosshairs like any other shot. The further your shot is, the more important this becomes. The beautiful part about a standard conversion from the dot-reticle to the clicks on your turret adjustment is that distance does not matter. In the previous example we were hitting two dots to the left. We know each dot is one MRAD and each click on the turret is .1 MRAD. In this case it would take 20 clicks to adjust for the wind and nail the bullseye on the next shot. Whether we are at 100 yards or 1000 yards, one MRAD off on your dot-reticle requires 10 clicks on your turret adjustment. Simple, right? This is the scenario where it gets complicated. You now have dot-reticles measured in MRADS, but each click on your turret is ¼ MOA. So let us look at our previous example and try to do the math. We are at 200 yards and hit two dots to the left. One MRAD = 3.6 inches at 100 yards = 7.2 inches at 200 yards. We were 2 MRADs to the left, so that equals 14.4 inches to the left. Each click on your turret is ¼ MOA at 100 yards = ½ MOA at 200 yards = ½ an inch. So 14.4 inches to the left would be 28.8 clicks on your turret. Now try doing that in your head while you are staring at a monster bull elk. See the problem? Some manufacturers make MOA to MOA scopes. However, keep in mind that an MRAD is 3.6 inches at 100 yards and an MOA is one inch at 100 yards. This means your dot reticles are four times closer together in MOA. They are so close that it really becomes hard to distinguish your distances, especially in low light scenarios. I am not a fan. Remember that adjusting for your shot is not as simple as adjusting and firing. Some of these variables can change on a dime, and you must be ready to change with them. When dealing with strong winds, you may want to adjust your turret for elevation but leave the wind adjustment alone. You can then use your crosshairs for elevation and use the dot-reticle to apply Kentucky Windage on the fly. When adjusting elevation based on distance, do not let your eyes play tricks on you. I normally will only eyeball distance out to about 300 yards. After that point I use a laser rangefinder to determine the exact distance of my target. No matter how good your eyesight is, you should always use a rangefinder past 600 yards. If you are shooting at a moving target, it is important that you make the adjustments on your turret for both windage and elevation. The reason is because you will likely use your vertical axis to help you lead your target by a few feet. Your other variables need to be adjusted in so you can completely focus on your lead. The most common types of scopes available these days are variable power scopes. These allow you to change the magnification based on how far out your target is. However, most of these scopes do not adjust the reticle as the magnification is adjusted. While your turret itself will always be accurate based on your distance, your dot-reticle will not always be accurate. This means that Kentucky Windage or converting from MRAD to MOA turret adjustments may be completely useless. If you are going to use Kentucky Windage or convert for turret adjustments on a variable power scope, I suggest you get lots of practice. I keep mine set on one specific magnification 95% of the time to prevent issues such as this. I hope that I have been able to break down this topic in a way that is easy to understand. I know that the first time I read the comparison of MRAD vs MOA, I was completely confused. If you still do not quite understand the topic, you may want to consult your local gun shop or long distance shooting range. They could possibly show you a few examples on a scope, and for some people that visual aspect is important. Take your time and find the option that is going to work best for your needs.